wrote a convertor in Python to convert the JMdict XML format into Stardict format. The script is distributed under the BSD license and is freely available. 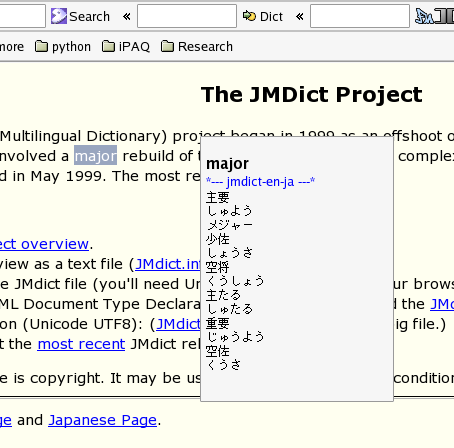 The converted dictionary file are distributed under the General Dictioary License as it is a derivative work of JMDict. The dictionary files are also distributed on the Stardict website as well.